Rangpur may be renowned for many reasons but Haribhanga, a species of mango is now spreading the fame of this district all over the country. Because of its special feature, a special feeling has already been come into sight for this mango to the fruits lovers. People are gathering the market of Rangpur to distribute the test of this mango to their relatives. These mangoes are now supplying to Dhaka, Chittagong and various other parts of the country through Courier service. Deputy Assistant Plant Conservation Officer of Badargonj Upazila, Kanak Chandara Ray said the test of the Haribhanga mango is different from other species as it is testy, fibreless, contained a small seed. It has learned that, people supplying this Haribhanga mango to the relatives in various parts of the country as present. Courier service offices in Rangpur are getting crowded in this time. SA Paribahan, Sundernban Courier service along with other courier services has to struggle to deal with the crowd. Employees of the courier services are passing busy time for last two weeks. Every Bazar of Rongpur are fully packed with various species of Haribanga Mango. Bazar adjacent to the Highway and Bus terminal are seen mostly crowded. They are selling each KG of Haribhanga mongo for 60 taka. Abdul Bari of Badargonj said, so far I seen, most of the people who are buying mango from Rangpur send it to their relatives in various part of the county. Dulal Mia, employee of Sunderban Courier service of Shapla Chattar said, majority portion of mango are delivering to Dhaka and Chittagong in this year. We have to work morning to mid night to deal with the people demand. According to the agricultural department, Haribhanga mangos are producing in 3 thousand hectares of land alone in Rangpur. More1995 hectares of land around homestead also cultivated Haribhanga mango. 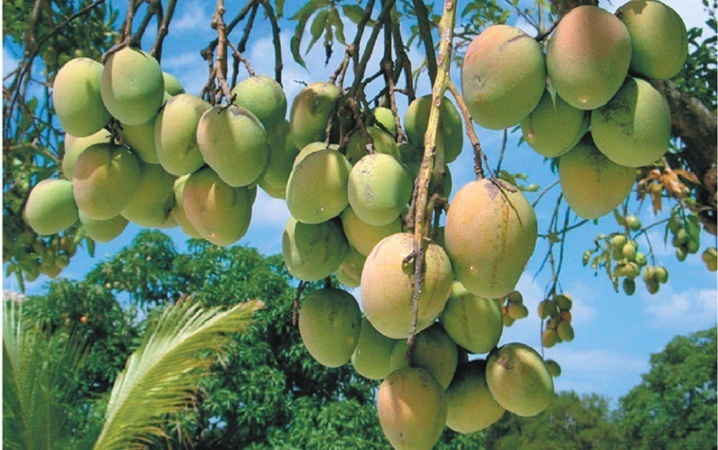 Around 30 thousand metric tons of mangoes will produce in this year in Rangpur.